First Evensong of the Epiphany already said. 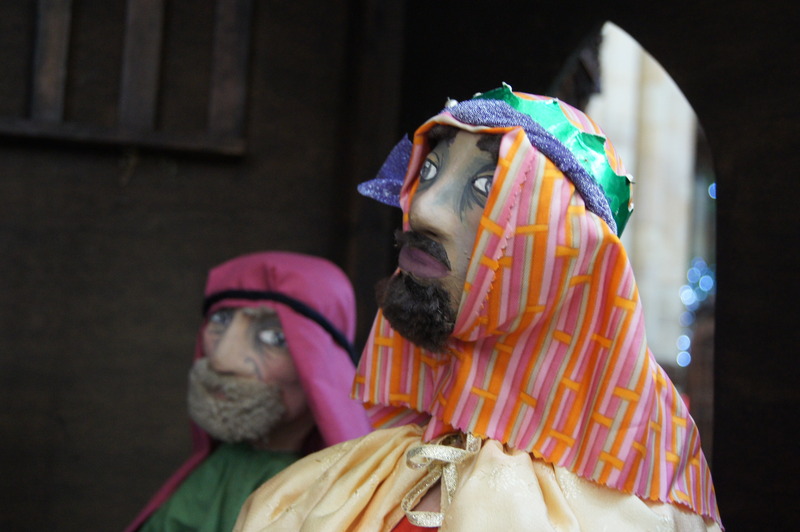 So here’s one of the Magi from Beverley Minster’s crib. I’ll get lyrical tomorrow in church about the amazing inclusion by God of followers of another religion who had upped sticks, going on an educated guess, and being welcomed to worship the true King of Israel. And about the immediate revelation of Good News to the Gentiles. Epiphany is great. A real shame that it’s swept up into post Christmas tiredness, new year busyness and back to work depression. Free the Magi! totally agree- hence our cribs of the world exhibition continues until the end of the month. You are currently reading Photos for the 12 Days – XII at Jeremy Fletcher's Blog.